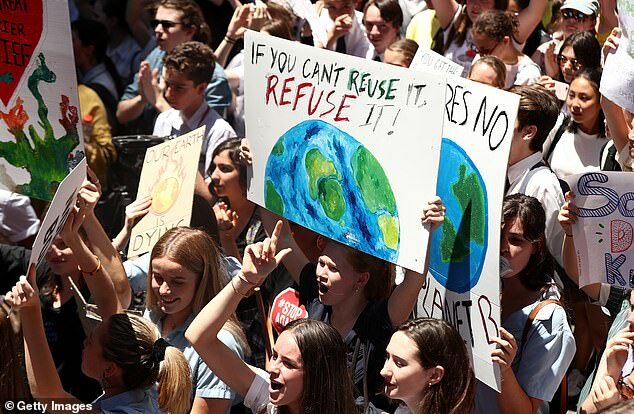 A baby boomer has unleashed on ‘selfish, virtue-signalling’ school kids for skipping class to protest against climate change. 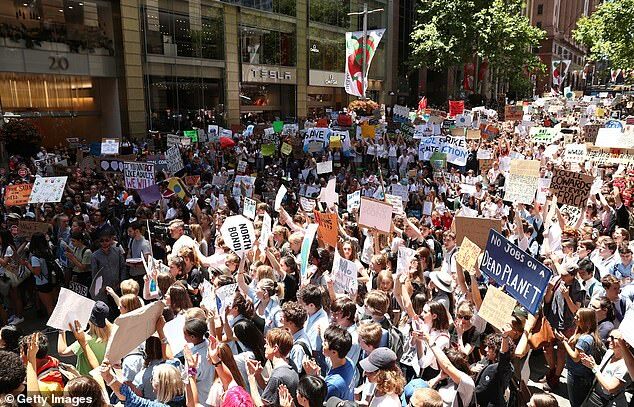 The man’s rant, which went viral after being posted online, came after thousands of students walked out of class on Friday to demand federal government action on climate change in a series of coordinated rallies across Australia. 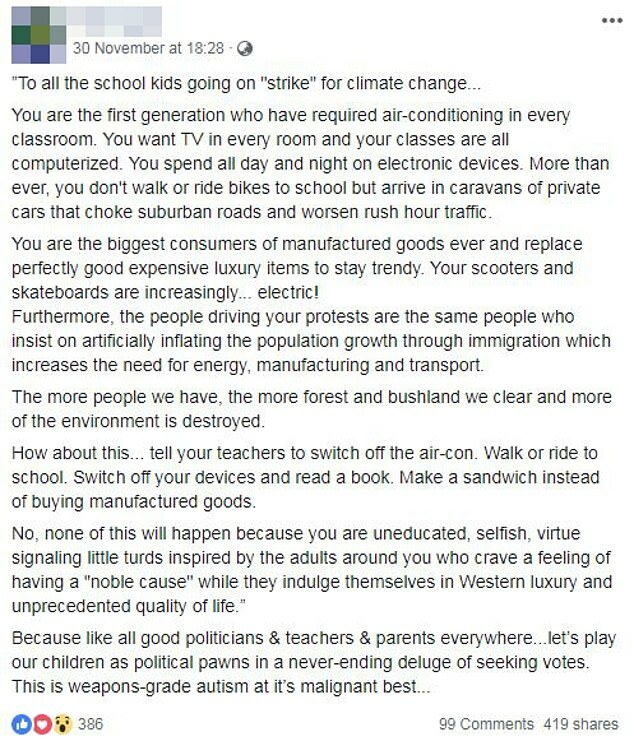 Shared to Facebook, the man’s scathing attack began by addressing school kids who went on strike for climate change. ‘You are the first generation who have required air-conditioning in every classroom. You want TV in every room and your classes are all computerized,’ he wrote. The man then continued by taking a swipe at young people’s consumer culture, arguing the youth of today opts to replace ‘expensive luxury items to stay trendy’. The post takes a turn, targeting the character traits of young Australians. The man’s post argued children were being used as ‘political pawns’ in a continuous game of seeking votes. ‘This is weapons-grade autism at it’s malignant best,’ he finished. The viral post was met with support and criticism by a number of social media users eager to share their opinion on the matter. One viewer said the letter was ‘great’, claiming the children were ‘brainwashed and spoilt’. 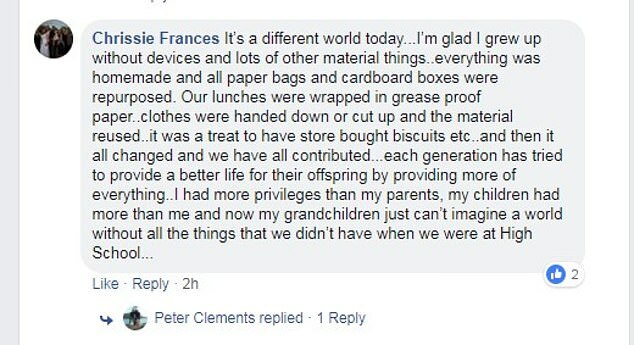 Another said ‘it’s a different world today’ claiming they were glad they grew up without devices and material objects. ‘Everything was homemade and all paper bags and cardboard boxes were repurposed,’ they wrote. Other social media users commended the children for taking action on an issue they were passionate about. ‘Today’s society has been created at a great cost and well done kids for taking your action,’ wrote one viewer. ‘I am proud of them standing up for what they believe in,’ commented another. Many drew attention to the fact climate change was not created by the school kids but the generations before them. ‘Why take it out on the kids who have to inherit this s***y planet which I might add we f****d up as adults’. 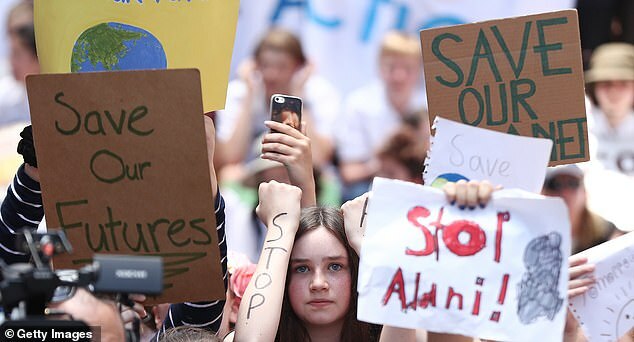 The ‘Strike 4 Climate Action’ rallies involved children in capital cities as well as 20 regional centres across Australia. 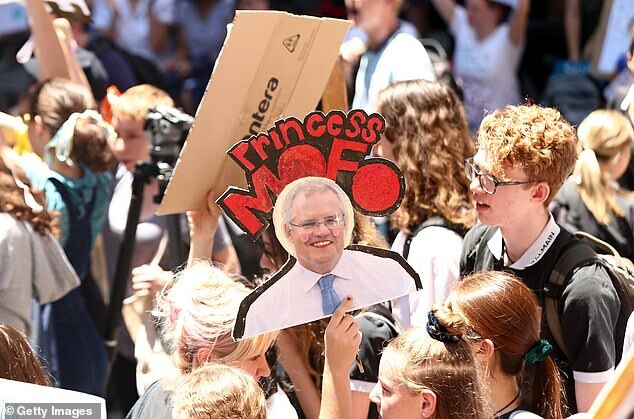 An estimated 1000 protesters packed Sydney’s Martin Place in the CBD on Friday afternoon, chanting ‘climate action now,’ with similar numbers in Melbourne. 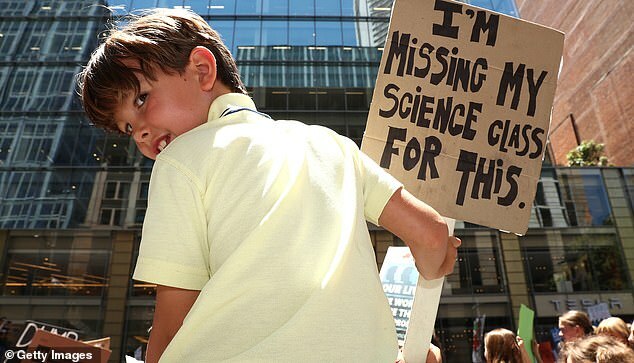 The series of rallies were inspired by Greta Thunberg, a teenager who went on strike ahead of Sweden’s national election. She demanded the country’s leader address climate change back in September. 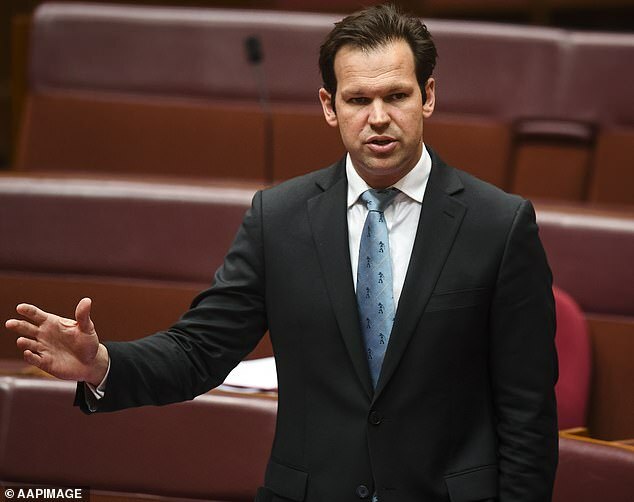 Federal Resources Minister Matt Canavan slammed the thousands of students who skipped school to protest climate change action in an extraordinary rant. ‘These are the type of things that excite young children and we should be great at as a nation,’ he told 2GB radio on Friday. ‘Taking off school and protesting? You don’t learn anything from that.